I, Me, Mine is the closest we will come to George Harrison’s autobiography. Featuring Harrison in conversation with The Beatles spokesperson, Derek Taylor, it touches on everything from early Beatlemania to India and Ravi Shankar to his love of gardening. The lyrics to his songs, in his own hand, are accompanied by his uniquely intimate and humorous commentary. 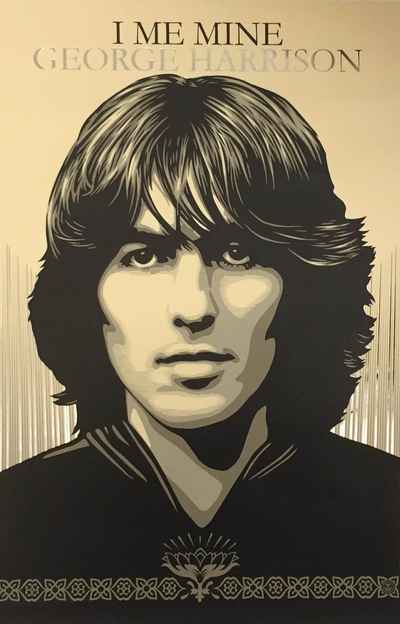 As well, archival photographs of George with the Beatles and solo capture a journey of creative and spiritual transformation. Brimming with the wit, warmth, and grace that characterized his lyrics and his life, I, Me, Mine is a treasured portrait of George Harrison and his music.